Motorola Moto G4 is all set to get launched on 17th May , We have already leaked earlier that Moto G 4th Generation will come with Snapdragon 617 and Turbo charging . 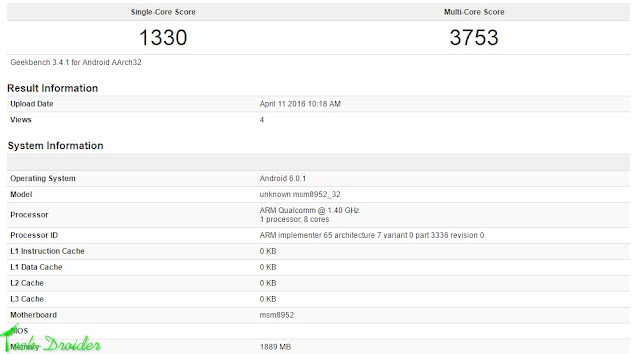 Now An Unknown Device is listed on Geekbench and we can confirm that this device is none other that Moto G 4th Generation . Motorola Moto G 4th Generation will feature a 5.5 inch full HD display with 13MP rear ( with laser focus ) and 5MP front cam .